The Angrivarii (or Angriouarroi) were mentioned by Ptolemy and Tacitus, but there is precious little information on them otherwise. In the first century AD, they straddled the River Weser around the confluence of the Aller, in modern Lower Saxony. They were neighboured to the north by the Chauci, to the north-east by the Langobards, to the east by the Dulgubnii, to the south by the Cherusci, and to the west by the Chasuarii. 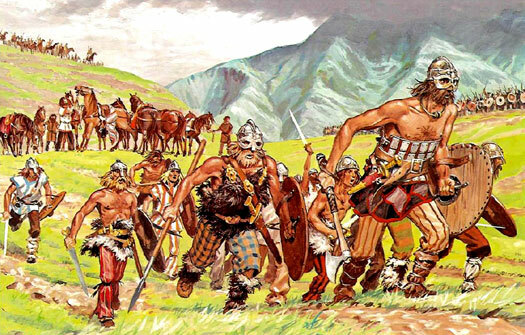 The tribe's name was formed from two words, 'Angri' and 'ware' (a construction seen frequently in the Germanic tribes that invaded fifth century Britain, such as the Cantware). It means 'the inhabitants of Angri'. The modern spelling is seen in the district of Engern, between Westphalia and Eastphalia. The word 'ware' is probably a Gaulish word borrowed into Germanic tongues that means 'man'. In Gaulish this is 'wiros', which is still used today in the English word 'werewolf'. The first half, 'angri' or 'enger', can be found in Anglo-Saxon: 'angrisla', or 'terror'; angrislic, or 'grisly', 'terrible', 'horrible'. If it is assumed that the word is Germanic, the result might equal a Germanic word for narrow, or extended, to mean 'uncomfortable', from which root comes the word 'anger' from Old Norse 'angr'. However, since the Angrivarii are 'the people of Angri/Enger', then this is a district name, and could easily be pre-Germanic and therefore Gaulish. It appears that the first part of the Anglo-Saxon words 'angrisla' and 'angrislic' may have been borrowed directly from Gaulish, cognate with the Latin word 'angere', meaning to strangle (perhaps echoed in the name of the British Ancalites tribe). The 'c' was pronounced as a 'k' and therefore easily shifted there from anga/ange. This root is also a likely candidate for the root of the names Angle and Anglyn. Does it mean fearsome? Were they describing themselves as terrors to others? Further muddying the issue is the fact that both the Angrivarii and the Angles were Ingaevones, a sort of early supertribal collective. Is the real root for this 'ing' or 'ang'? From the above, rather complex, analysis, it appears that the entire Angrivarii name is derived from Gaulish rather than German. This is yet another indication of the proposed co-opting of numerous Gaulish tribes who were transformed into German tribes by incoming German warrior elites. 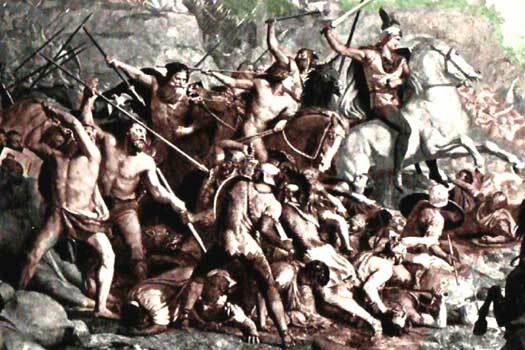 When the Germans entered central Europe from Scandinavia, there were a few recorded displacements of Gauls, but mostly the Gaulish tribes there appeared to have simply vanished. Were they destroyed? Unlikely. What is much more likely is that they were taken over by a new ruling class. It seems possible that a series of tribes with a variant of the 'wiros' suffix gained it from Gaulish: the Ampsivarii, Chasuarii, Chattuarii, Hetwara (a later name for the Chattuarii), and the Warini may simply mean 'the men'. Ultimately, the Angrivarii were active as a recognisable tribe of that name only in the first century AD. Other than that they remained obscure and like many of their regionally-local peers were soon co-opted into the growing Saxon confederation, probably by the start of the fourth century at the latest. A little to the west, large numbers of similar small Germanic tribes were becoming part of the Frankish confederation. In response to the massacre of three legions of Roman troops by a confederation led by Arminius of the Cherusci, Germanicus invades northern Germany. He starts his campaign with a massacre of the Marsi. This enrages the Germanic tribes and Arminius' confederation is reformed willingly, although his allies are not always quite so committed to the cause as are his own people. In the midst of Arminius' renewed operations, the Angrivarii defect (or revolt), something that might have been arranged with Germanicus in advance. Even if this is not the case, a cavalry attack quickly delivers the tribe's capitulation to Rome. Soon afterwards, however, they renew their alliance with the Cherusci, suggesting either pre-battle nerves, a deliberate ploy, or threats by Arminius to bring them back into line. The Angrivarii help to set up an ambush at the Angrivarii/Cherusci border between the Weser and the Elbe, which is delineated by a high earth embankment. They hide their cavalry in the woods and station their infantry on the reverse slope of the bank. The Romans have intelligence of the plan and assault the embankment, preceding their assault with volleys from slings and spears thrown by machines. Driving the Angrivarii from the bank, they go on to pursue the cavalry into the woods. Once again the Angrivarii are totally routed. Once the Cherusci have been dealt with properly, Germanicus turns his attention back to the Angrivarii. They surrender unconditionally to the officer who is sent by Germanicus, and accept the status of suppliants, begging for mercy, which Germanicus grants. This reaps dividends (apparently later in the same year, AD 15), when the Angrivarii play a major role in securing the return of Roman troops who have been scattered along the North Sea coastline during a storm. They regain the troops via Germanic tribes who are either neutral or who are hostile towards the Romans. The Cherusci suffer two defeats in AD 16, the first being at Idistaviso and then at the Battle of the Angrivarian Walls in the summer. Arminius doubtless finds his authority has been damaged by the second defeat, at least, and his alliance against Rome begins to crumble, probably ending any pressure on the Angrivarii to abandon their friendship with Rome. On 26 May, to celebrate his victories across the Rhine, Germanicus takes part in a triumph before being sent to the east by his uncle, the emperor. The Angrivarii and other west German tribes have continued to maintain friendly relations with Rome, providing it with elite troops and urban and palace police. The Angrivarii also take part in Germanicus' triumph, marching in the procession. Writing at this time, Tacitus mentions a large number of tribes in Germania Magna, including the Bructeri. He relates their recent history and their location in tribal Germania, which seems to have changed to an extent. Their original lands, or part of them, are now occupied by the Angrivarii and Chamavi, after the Bructeri had been defeated and almost annihilated by a coalition of neighbouring tribes (Tacitus is uncertain of the reason). More than 60,000 are killed, according to the writer, who is one of a Roman delegation that is apparently allowed to watch the attack, possibly as impartial observers who can record that fair play has been observed. It has been two centuries since the Angrivarii had last been noted in any literary references, suggesting that they have remained placid and accepting of Roman influence and control. According to the Codex Gothanus, the Langobards are subjugated by the Saxons around 300, in a period in which the latter are clearly building up their confederation. It is not known precisely when the Angrivarii are added to this confederation, whether by force or voluntarily, but it would seem likely that they are no longer an individually recognisable tribe by the start of the fourth century. The Angrivarii remain in their homeland of the last five centuries, still part of the Saxon confederation. By the fifth century they are known by a variety of names, the Angarii, Aggeri, Aggerimenses, Angeri, Angerienses, or the Angri, but the name is also beginning to appear as that of their homeland, Engern (in the modern German states of Lower Saxony and North Rhine-Westphalia). By the eighth century, they are believed to be the Angrarii, one of three subdivisions of Saxony, the others being Westfalahi and Ostfalahi (Westphalia and Ost or Eastphalia). According to the Royal Frankish Annals, the lands of the Angrivarii are conquered by Charlemagne in the early days of the Saxon Wars. The Angrian commanders conclude a separate peace agreement with the Carolingian empire near Bückeburg in this year, removing themselves from the destructive Carolingian-Saxon wars to follow, while the Saxons themselves are forced to accept incorporation as a Frankish march (border territory). 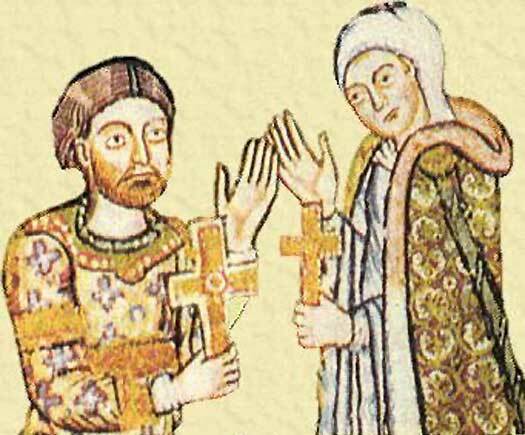 Widukind of the Saxons is first mentioned by the Frankish Annals when he fails to attend Charlemagne's court at Paderborn alongside his fellow Saxon nobles. Instead he is visiting one 'Sigfred, king of the Danes' - probably Sigurd, son of the present king. In 778, the Angrivarii invade the Frankish Rhineland while Charlemagne is busy in the south, dealing with events in Iberia, although this appears to be their last direct involvement in affairs. Widukind of Corvey, when constructing his work, Res gestae saxonicae sive annalium libri tres, claims Engern as the central region of the duchy of Saxony. The region lies along the middle reaches of the River Weser, between Westphalia and Eastphalia, centred on the town of Minden which is the see of a bishopric from this date, 803. Henry the Lion, duke of Saxony, refuses to follow his cousin, HRE Frederick Barbarossa, into war in Lombardy. In punishment for this the duchy is reduced by the emperor. Westphalia is handed to the archbishop of Cologne, complete with most parts of Angria (the former Angrivarii tribal lands), while the Saxon ducal title is carried eastwards by the Ascanian dukes. The name Angria thereafter becomes obsolete. In the thirteenth century, the central area on the Weser had become the nucleus of the county of Hoya. It is part of the Holy Roman empire (now in the German state of Lower Saxony). Now the county is partitioned after the death of the last, childless, count of Hoya, Otto VIII. The majority goes to the principality of Calenberg, with the rest passing to the duchy of Brunswick-Lüneburg and the landgraviate of Hessen-Kassel.